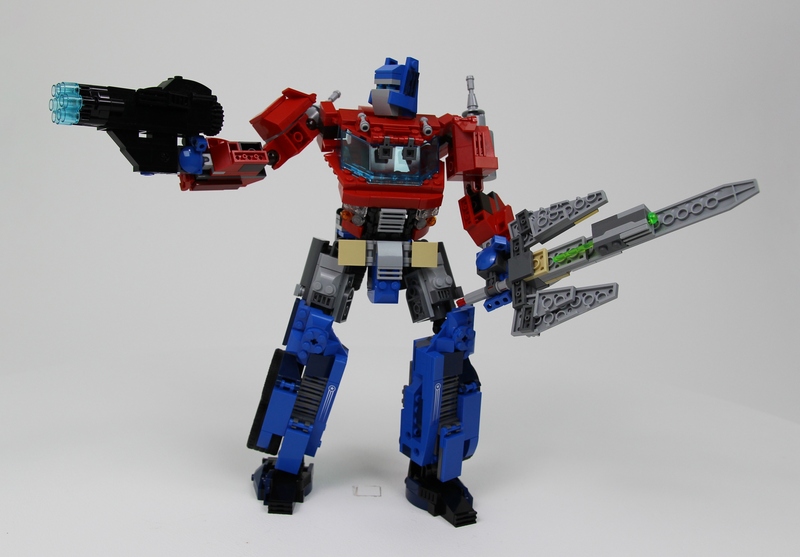 Build and play with the iconic, courageous, Autobot leader, Optimus Prime. Inspired by his classic look from the popular generation 1 (G1) cartoons and his bulkier form from the recent Robots in Disguise cartoons. Fully transformable and poseable. Check out the video for transformation and a short showcase of features. Optimus Prime is a brilliant heroic character and his look is arguably as iconic as the millenium falcon. Old and new fans, young and old would enjoy the addition to their Lego collection. 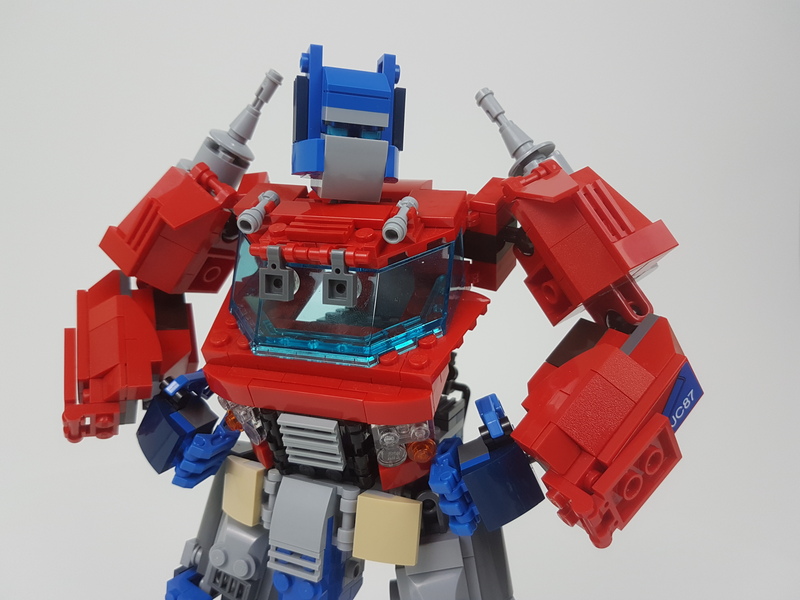 Many other excellent Optimus Prime Lego MOCs have been made by fans - but these ofter either try to accurately recreate an existing toy, or achieve a faithful film style look with a complexity that compromises playability. The build aims to balance this and be of a structure that feels like it could be a genuine Lego Ideas set: Offering a look to please collectors, and features to please kids (old and young alike!). I've loved making it and hope you will too. Thanks. NB: This last image above, showing the accessories, also features the improved upper arm and exhaust pipe configuration - this is included in the instructions. This is the build that I'm most proud of in my days as an adult fan of Lego. It really captivated me for weeks - spending any pockets of time I could give to it. The build has already gone through various iterations of certain elements (the head was particularly tricky to get capture his recognisable character within the limited space available). Most of the iterations were to increase the strength of the build wherever possible given the transforming nature, and also to improve stability in the legs to allow the figure to stand well in various positions to increase playability. Though this is a re-imagining of the character, it owes heavily to the G1 look that has been returned to in the recent Bumblebee film directed by Travis Knight - much to fans delight. It was most important to me to try and evoke the strong, striking lines of Optimus Primes silhouette. 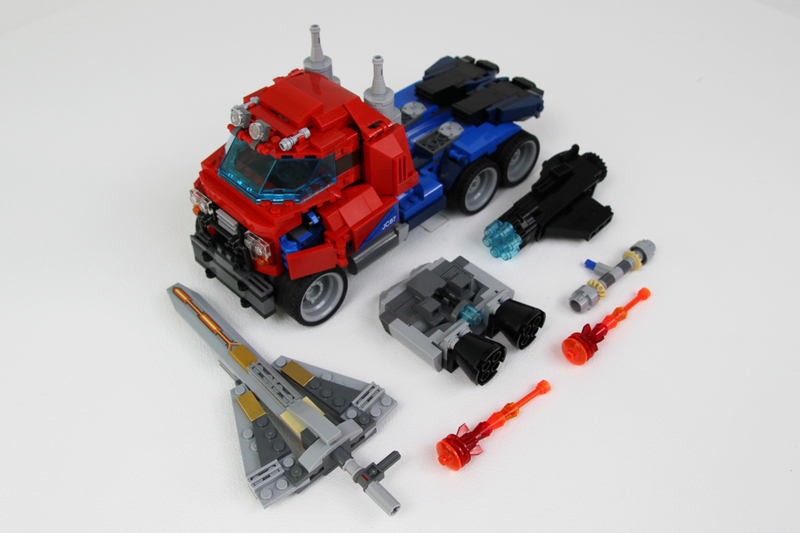 His truck form was loosely inspired by the Lego Ultra Agents mission HQ 70165. Or at least was built so as to not look out of place if Prime were to park next to it. This was a good check that he was approximately mini figure scale (if you are an Ultra Agent mini-figure that enjoys a somewhat larger scale vehicle than your lego city counterparts)! Planning how he might transform and how parts would interact made the transformation design a joy of a creative challenge. Realising these design ideas was more of a challenge! The balance of the transformation had to be just right - too simple and it can just end up being a truck that you open the doors and stand up then pretend it's a robot! Too complex and it wouldn't be playable or robust. I settled on a core transformation style to the main elements of the build inspired by the original G1 transformation structure with added smaller elements to affect the final detail of each mode. £8.00 Have a coupon code?